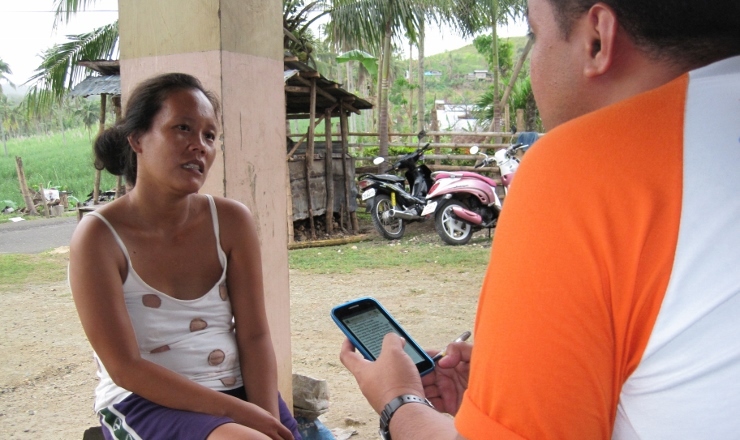 Communicating with communities affected by crisis is an integral part of any humanitarian response. But how are agencies monitoring and evaluating the effectiveness of their communication with the people they aim to support? This webinar will bring together colleagues from humanitarian, media development and technical agencies to share their experience and approaches to monitoring and evaluation of their agenciesâ€™ communication with crisis affected communities. Register to join us online and contribute to the discussion on how to monitor and evaluate this essential component of humanitarian response. Stijn Aelbers, Humanitarian Advisor, will share a tool developed by Internews in South Sudan, which helps organisations monitor and evaluate how effectively they are engaging with communities in their work. Amy Rhoades, IOMâ€™s Community Engagement Programme Manager, will share IOM's approach to monitoring real-time feedback to community outreach activities through the online platform Community Response Map, with examples from Philippines and Burundi. Nick Maybanks, Country Research Manager for BBC Media Action will talk about the approaches they use to monitor and evaluate in crises, drawing on recent examples from Gaza and the Ebola response. Laura Walker McDonald, Chief Executive Officer of Social Impact Lab (SIMLab) will share SIMLabâ€™s approach to teasing out the contribution technology makes to communicating with communities projects. Copyright Â© 2015 The CDAC Network, All rights reserved.